New eBook Helps You Optimize Your Two Key Sources of Revenue. Velocity. While the term makes you think of fast cars and ascending planes, it’s essential to your revenue cycle, too. 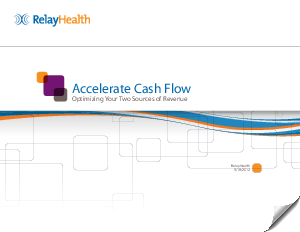 But how do you accelerate payment from two sources of cash – payers and patients? How can you improve your organization’s overall financial health? How can you help reduce strain on your critical resources? And finally, how can you help improve patient experience and engagement? Improving your organization’s financial performance in the pre-service process by learning more about your patients and engaging them in discussions about their financial responsibility. Increasing patient satisfaction with your billing department by improving your processes and tools. Leveraging comparative analytics data to support management of your organization’s financial performance.